Richard Alderman has told us that he does not believe the guidance will prevent the SFO from prosecuting Russian companies and laid out to us how he plans to prosecute Russian companies involved in overseas corruption. Russia’s shift from communism to capitalism has been well documented and mired in claims of corruption (Sale of the Century by Chrystia Freeland is a good introduction). But in terms of Russian evolution that is light years ago. Yet, today Russia ranks 154th out of a possible 178 countries on the Transparency International Corruption Perception Index. In a straw poll of Transparency International chapters the TI Russian chapter stands alone as the only chapter who think it is impossible to do business in their jurisdiction without paying bribes. Earlier this year before the publication of the guidance Richard Alderman visited Russia. While there he gave a number of speeches. 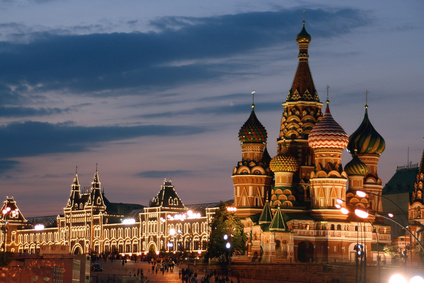 A central theme was the new Bribery Act and its application to Russian businesses. “…If you carry on business or part of your business in the UK, then bribery that is committed by somebody in your corporation or by somebody who provides services to your corporation anywhere else in the world is within the jurisdiction of the Serious Fraud Office. It does not matter that this bribery is committed outside the UK and Russia. It also does not matter that the bribery had nothing to do with your UK business presence. All that is needed to trigger the jurisdiction is, as I have said, that you carry on business or part of your business in the UK…. …My concern here is fair competition….I want to be able to support those ethical UK businesses when they find that they are being undermined by companies based elsewhere that use corruption to obtain a competitive advantage. In short Mr. Alderman emphasised the long arm jurisdiction of the Bribery Act for foreign companies if can be said to be carrying on a part of a business in the UK. Does the guidance limit long arm jurisdiction? “the Government anticipates….that organisations that do not have a demonstrable business presence in the United Kingdom would not be caught. The Government would not expect, for example, the mere fact that a company’s securities have been admitted to the UK Listing Authority’s Official List and therefore admitted to trading on the London Stock Exchange, in itself, to qualify that company as carrying on a business or part of a business in the UK…. We have written about this and questioned its significance in practice. Will companies listed on the London Stock Exchange really just have a listing and no other connection with the UK? Will there be UK bank accounts? Will there be UK resident non-executive directors appointed? When will a subsidiary be said to be acting independently of its parent or other companies? We know these same questions are asked by the SFO. We also know that the SFO is very keen to test the extent of the long arm jurisdiction before the courts and begin to build a body of case law and successful prosecution. These questions among others have been raised by Russian contacts and clients. We have worked in Russia for many years and we were interested to hear what Richard Alderman had to say on the subject after he invited us to discuss this with him last week. How does the SFO propose to enforce against Russian organisations? Mr. Alderman told us that while in Russia senior businessmen impressed upon him the global nature of their businesses today. As is the case with many clients who contact us he told us that Russian businessmen who spoke to him in Russia were keen to understand how the Bribery Act would impact on their operations and often complex ownership structures worldwide. He also referred to the ongoing anti-corruption initiatives in Russia. Dmitry Medvedev has been pushing anti-corruption policies albeit with limited success and in 2009 the Russian Federation made a formal request to accede to the OECD Anti-Bribery Convention and to become a member of the Working Group on Bribery. Richard Alderman confirmed that high on the SFO list of priorities is investigating and prosecuting Russian companies if they behave unethically to the disadvantage of ethical UK businesses anywhere in the world. At our meeting we highlighted the difficulties in enforcing English judgments and obtaining evidence in/from Russia. Mr. Alderman told us Lenovo IdeaPad Tablet A1 2228-2LU AC Adapter that he anticipated that if the SFO placed a large Russian group under investigation it would have no alternative but to engage with it for many reasons including reputation. Richard Alderman and the SFO were enthusiastic at the prospect and we were surprised by the keen interest of the SFO in bringing unethical Russian companies and any UK subsidiaries before the UK courts. The guidance clearly contemplates situations where overseas companies will not fall within the ambit of the Bribery Act in circumstances where they have London listings and/or subsidiaries in the UK. In view of the enthusiasm we witnessed – on top of putting in place adequate procedures to prevent bribery some Russian organisations may be well advised to consider their operations.